Happy 2019! (She says as we near the end of January!) I still can’t quite believe how quickly time seems to be flying, and that it was November that I last posted on the blog. While I didn't set myself any rigid resolutions as such (I decided not to this year), one of the few things I’ve been wanting to do is to commit to using less plastic and single use items. While I am by no means perfect and I still have more to do, I have found a few ways to make it easier to say no to picking up a single use cup, straws and 5p plastic bags, which I’ve shared below. I hope you find them useful! Since spotting one in a local cafe a few years ago, I’ve always wanted my very own KeepCup. My best friend Paige kindly bought me one for Christmas a couple of years ago and, since then, it’s been a welcome addition to my handbag if I know I’m going somewhere where I’ll be likely to grab a drink on the go. 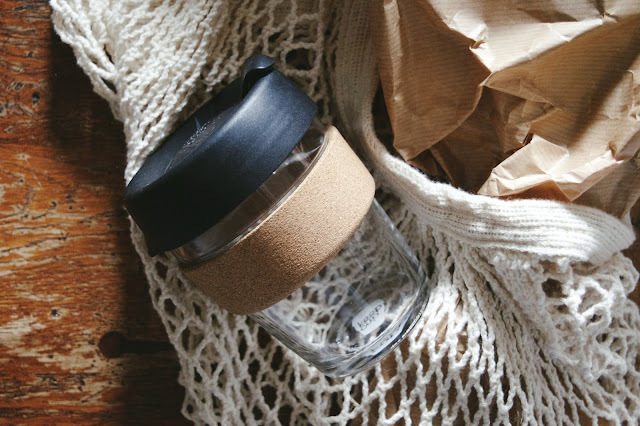 I’m a sucker for minimal and natural styling so, with it’s black lid and cork band, this KeepCup is definitely perfect for me. That being said, if you’re into something a bit more bold and beautiful, they have a range of colours for you to create your very own design. Places like Starbucks and even independent cafes now offer a considerable discount for those bringing in their own cups, and some even refuse to serve takeaway options without a reusable cup at hand. Therefore, they’re not only a growing solution to one time use plastic takeaway cups, but a great way to cut down costs too. 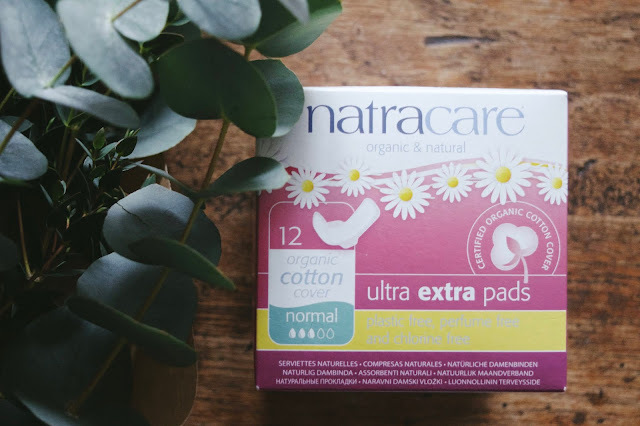 I was kindly gifted a selection of sanitary products from NatraCare and, since giving them a go, I won’t be turning back to traditional pads, which contain plastic and an array of chemicals. Their products are made from natural and certified organic cotton, and contain no additives, perfumes or plastics, making them also ideal for women who suffer from allergies and irritation. This is as well as being a far more environmentally friendly option, as they are completely biodegradable and sustainably sourced. Better still, they’re vegetarian society approved, meaning no animals were harmed or tested on during their production. A definite win-win! It’s unsettling in the least to think how many plastic bottles of shampoo and conditioner we throw away each month. I initially picked up a Lush shampoo bar and conditioner for our travels in Bruges last year, but since then, it’s become a long-term staple for my toiletries bag. While admittedly Lush isn’t the cheapest option, my first shampoo and conditioner bars lasted about five months after purchasing them in March, which says something, seeing as my hair is super thick. I use the Soak and Float bar, which smells incredible, but there are many different options to go for. I follow this with their Big solid conditioner bar for added moisture. 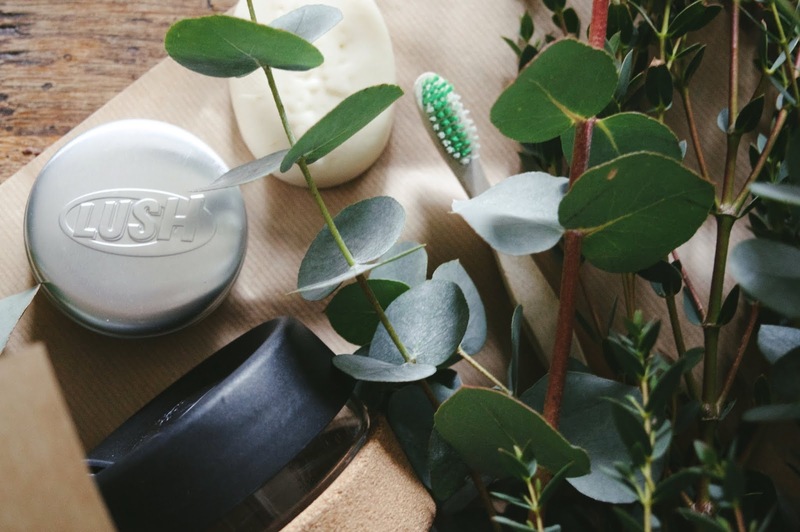 Lush also sell metal tins to keep your bars in, which makes keeping them fresh and travel friendly that much easier, too. Typically, we should be changing our toothbrushes every three months to ensure they remain effective and free from harmful bacteria buildup. With this in mind, the average family household of four people throw away sixteen toothbrushes a year, which all end up in landfill. 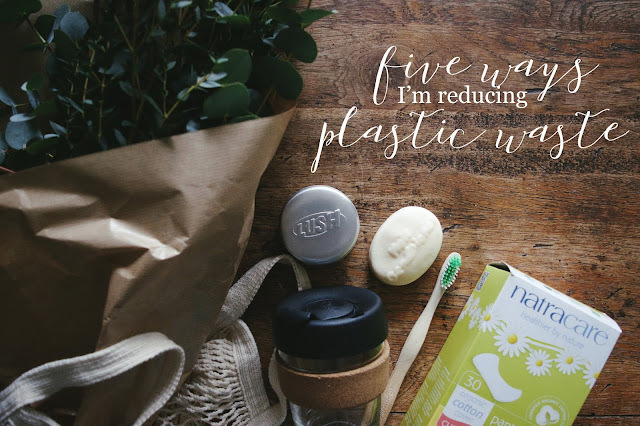 After attending a beach clean organised by Surfers Against Sewage last year, we picked up a couple of bamboo toothbrushes after vowing to find easy ways to minimise our combined plastic use at home. Since then, we’ve been purchasing our usual Woobambo toothbrush from Timber, Ringwood. 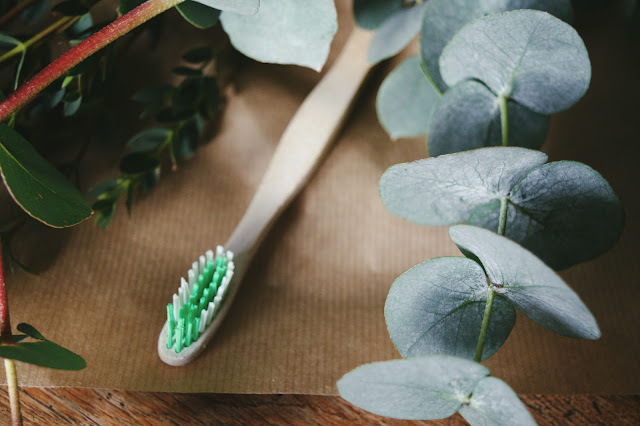 These toothbrushes are comprised of Moso Bamboo, which grows a metre a day without the need for fertiliser, which is biodegradable. Better still, Moso Bamboo is naturally antimicrobial, which minimises the amount of bacteria build up on your brush. That aside, they also look a lot nicer than typical plastic toothbrushes, which always helps! While in Bruges last year, I picked up a natural net bag, which I thought would be useful (and look cute, I admit) for everyday groceries and fresh fruit purchases. Since then, it resides in my handbag, ready for those unexpected purchases. This way, I can easily say no to a 5p bag (which is set to increase to 10p by 2020), and avoid not only a frustrating abundance of plastic bags in the kitchen cupboard, but also my contribution to numerous plastic bags ending up in landfill. While I still have a long way to go, I feel like these are all steps in the right direction, and it’s true when they say that every little helps. 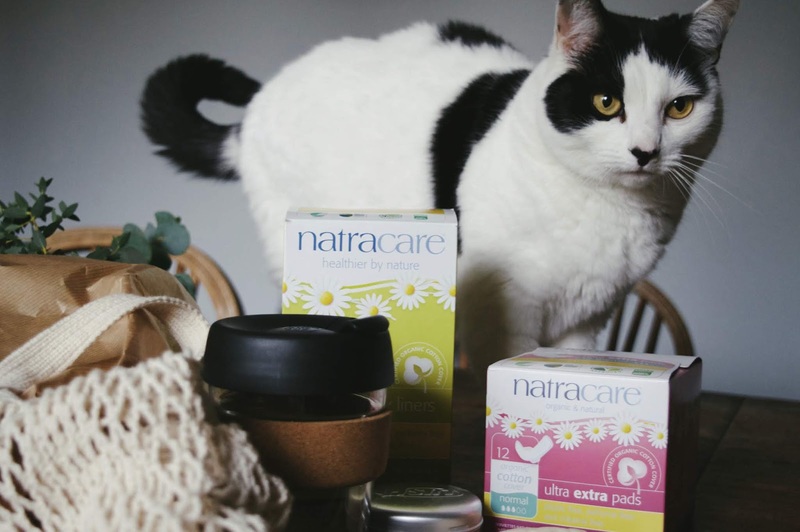 My aim now is to find package free cleansers, the perfect loose leaf tea (as many tea bags in fact contain small pieces of plastic, yikes) and look into ways to creating natural and package free cosmetics to add to my makeup bag. I’m also keen to carry on keeping it vintage by using hand soaps in place of packaged shower gels. Do you have any more useful plastic free tips? Leave them in the comments below!